That first visit to the dentist has been on your mind since your baby’s first bout of teething. Now that the first little pearly white tooth is visible, you’re thinking that it may be time for that first dental checkup. And of course, it’s only natural that you hope the experience will be a positive one and that your little one will cooperate. 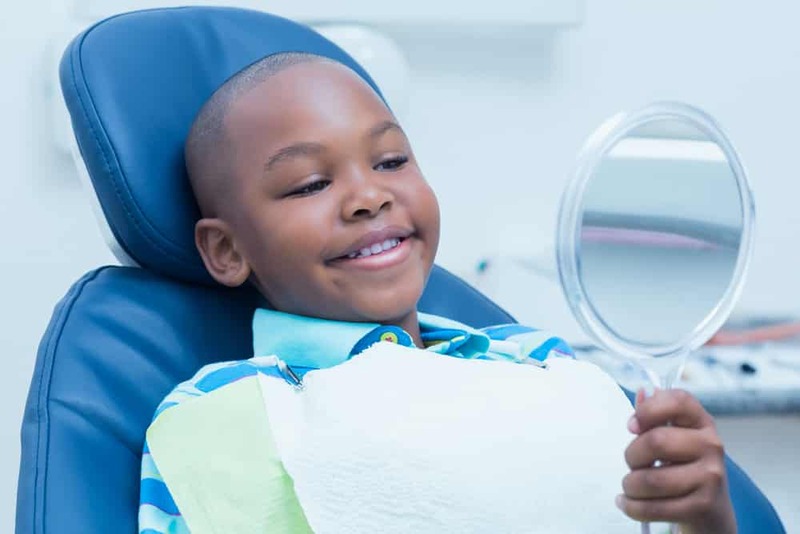 You’re aware that kids need to see the dentist for regular checkups in order to maintain good oral health and hygiene. But imagine what that room in the dental clinic is going to look like to your little one: sterile, with glossy white enameled basins and a weird mammoth chair. Next (as you well know), your child will be instructed to lie down on that chair and the dentist will stick cold metal instruments in her mouth. All things considered, it would be strange if your child WASN’T frightened. Except that it really doesn’t have to be that way and it SHOULDN’T be that way because face it, your child will need to visit the dentist many times during childhood. You don’t want your child to associate regular dental visits with trauma and pain. And by the way, some estimates have it that children will need to visit the dentist at least 10 times before starting kindergarten. 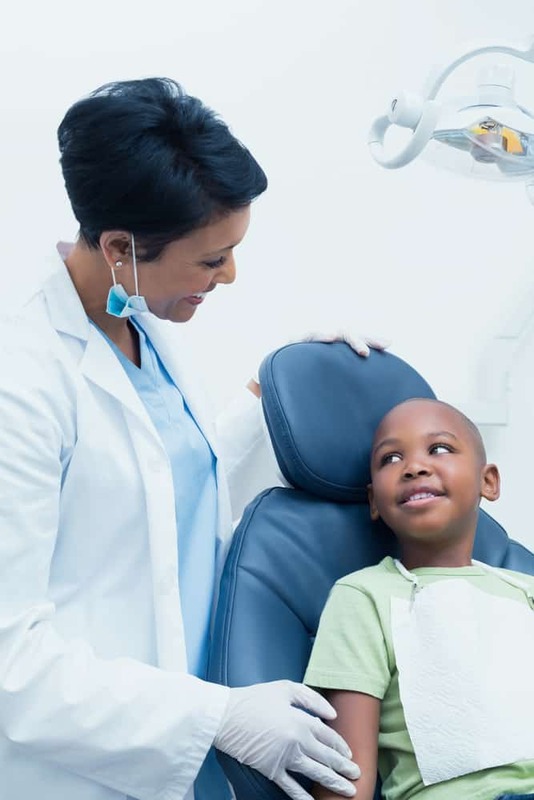 The bottom line is that taking the fear out of seeing the dentist is possible, if you take the time and make the effort to prepare your child ahead of time. Begin with choosing a dentist who is experienced in treating children. Some experts recommend this be a different dentist than the one you normally see. The reason for this is that your body may tense up on walking into the dentist’s office as your mind makes the association between the place and past pain. You may not be aware of your tension, but your child will pick up on any subtle expression of fear immediately and become frightened herself. Ask the other mothers you know for recommendations of dentists who treat children. You want a dentist who has children’s books, nice pictures on the wall, and toys. 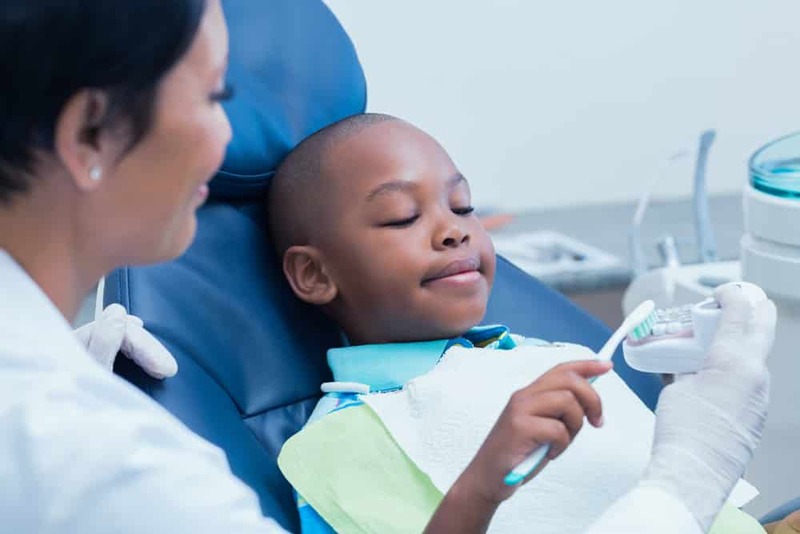 While it can be argued that none of these things have anything to do with oral hygiene, they have a lot to do with how your child will feel about visits to the dentist! Once you’ve found a dentist, schedule an appointment. The American Academy of Pediatric Dentistry recommends a child see the dentist as soon as the first tooth breaks through the gums, or around the age of 1 year. At this stage, it’s best not to go into great detail about what your child should expect. The more you tell your child, the more questions she will have, which may result in a case of too much information. It is unlikely your child will have a cavity at this stage, so why talk about fillings? It will just freak her out. You want this visit to be anxiety-free to set the stage for future visits. Avoiding fear of the dentist is all about generating pleasant associations. Another good thing to do in advance of that first appointment at the dentist is to playact the visit in the comfort of your own home. You can practice counting each others’ teeth. You can use a hand mirror to demonstrate how the doctor examines teeth. Finally, you can take a toothbrush and take turns pretending to brush the teeth of your child’s favorite doll. All of these measures help make the visit to the clinic seem familiar and this will help your child to feel more comfortable during that first real appointment. Something else you can do is purchase a children’s book on the subject of the first visit to the dentist. There are many, it’s an entire genre of its own! Go to the Amazon website and you’ll see first dental visit books utilizing various cartoon characters, such as Dora the Explorer, Spongebob Squarepants, and the Berenstain Bears. Choose a book that includes your child’s favorite cartoon character. The stories and color illustrations will offer positive sensory input beyond the little talks and playacting you’ve done together at home. It’s completely normal for your child to cry or be upset at having someone she’s never met before examine her. Remember that the staff at the clinic is experienced at working with small children and allow them to show you how you can help. You may be asked to sit farther away or to hold your child’s hand. Let the dentist and clinic staff be the ones to guide your behavior. It’s not advisable to promise your child a sugary treat for a successful visit. This would serve to counteract the dentist’s main message which is to avoid eating sweets because sugar can lead to cavities. Even offering to buy your child a prize or toy after the visit is a bad idea. Promises such as these can lead your child to wonder why it is necessary to use bribery to get her to see the dentist. She may come to the conclusion that seeing the dentist is a bad and scary thing or mother would not need to promise to buy her things. Still, when the visit is over, you can praise your child for being brave and well-behaved. A small surprise such as a sticker or inexpensive toy is not a bad thing to offer after a dental visit, but don’t make this a regular habit. Talk to your child before the visit but keep your explanation brief without going into too much detail. Write your child’s questions down and explain that the dentist will answer these questions during the dental visit. Talk about the importance of keeping teeth and gums healthy and explain that the dentist is a nice man who can help with this. Don’t talk about pain and don’t say that something might hurt. Don’t talk to your child about unpleasant experiences you have had at the dentist. Don’t promise rewards for seeing the dentist. Voice and tone modulation—the dentist will speak in a friendly voice but if necessary will speak firmly with your child. Simple, short instructions—the dentist will give clear commands using as few words as possible, for instance: open your mouth; turn your head; hold still. Demonstrate procedures—the dentist may demonstrate each step of the examination using a doll or the child’s parent before he performs the procedure on the child. Positive feedback—the dentist will offer praise wherever possible to reinforce good behavior. Distract—the dentist may talk to the child or tell the child a story to take her mind off the examination or procedure. Body language—the dentist may smile to reinforce good behavior or frown to discourage poor behavior. Great advice about what to say to your child before going to the dentist. These are all good suggestions, thanks for sharing. I’m getting really excited to take my daughter to the dentist for her first time. She is 4 now, and she has been talking about it all day. Her grandpa was a dentist when he was younger, and so she is so excited. These tips will really help us to help her feel more comfortable. I love what you said about asking other mothers for dentist recommendations. I never thought to find another dentist for my child’s first trip, but what you said about the tension makes a lot of sense. You can’t associate your child’s dentist with your own discomfort. Thank goodness there are so many good dentists out there to choose from! After doing some looking, you really shouldn’t have any trouble finding the right one for your child’s first visit! Thanks for the post, Varda! Thanks for reading and commenting, Zoe! I appreciate your tip on not mentioning things like shots or the pain of a dental visit when talking to your children. It seems that talking about that kind of thing would just serve to get them more nervous than they already are. My kids are usually a little nervous of going to the dentist but usually once they get there and see the dentist they usually calm down. I can definitely see how choosing a dentist who is experienced in treating children could make a huge difference in yourchild’s first visit there. 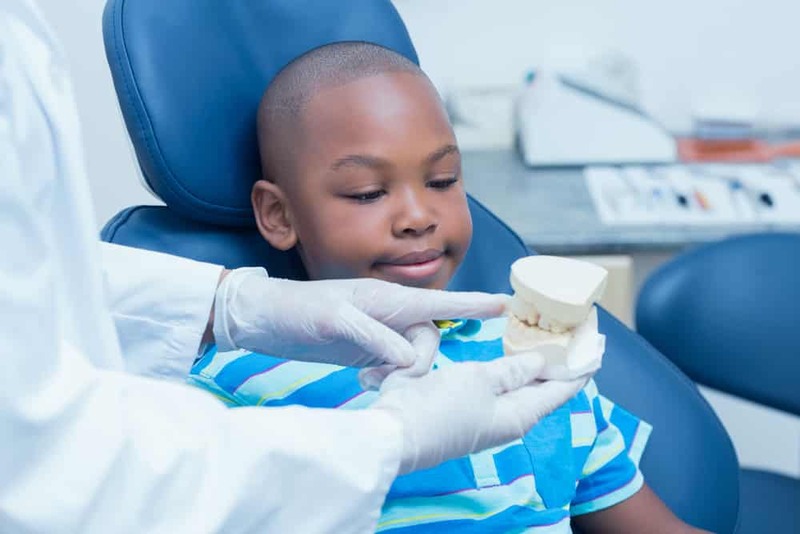 I would think that some good points to pay attention to when evaluating a potential family dentist would be how they deal with difficult children, as this could be a good way to put your child’s mind at ease. I would also think that it would be important to make sure that the office staff was friendly and welcoming as well as the dentist. I still remember the first visit of dentist. Positive reinforcement is one of the most important things to do when treating children, especially when it is their first time ever at a dentist appointment. For a lot of people who have dental phobia, the source can be traced back to childhood and particular anchors in their memory related to anxiety, confusion and fear. That is why the phobia can last well into adulthood. Great information, the suggestion’s are very helpful to the kid’s who needs visit to dentist and feel more comfortable to take care of teeth at younger age. Cavity are the bigger problem especially for the kids, so better to have good dentist for kids to avoid future dental problems.